Glen Hansard's This Wild Willing comes out April 12 via Anti. 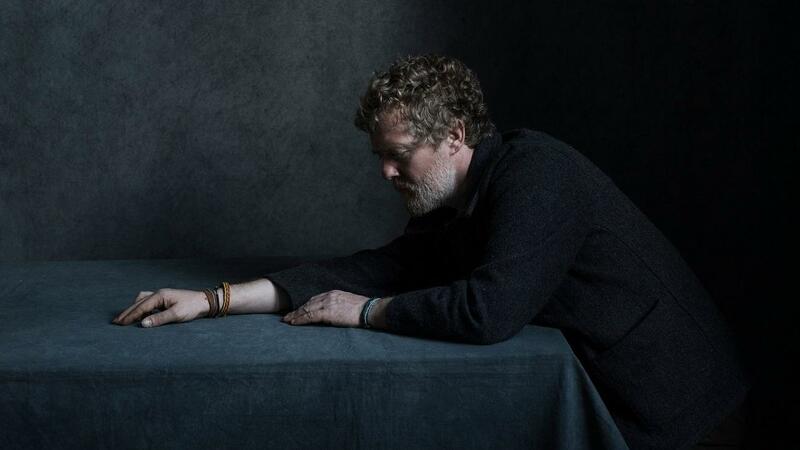 Nearly 30 years into his recording career, Glen Hansard needed a new approach. He'd done vein-bulging high drama, both in The Frames and, to a subtler degree, in collaboration with Markéta Irglová as the Oscar-winning duo The Swell Season. And he'd recast himself as a brooding balladeer on a string of stately solo albums. But Hansard's work required a jolt — a fresh method of writing, arranging, performing, recording. For This Wild Willing, he found it by building songs out of ambitious studio improvisations that led him down intriguing side roads. In addition to longtime collaborators like bassist Joe Doyle, electronic musicians Dunk Murphy and Deasy added touches of scuffed-up atmosphere, while the Iranian-born Khoshravesh brothers lent a Middle Eastern swirl to a sound that billows and rambles alluringly. That sonic invention, made possible in part by a huge supporting cast, comes coupled with welcome bursts of intensity: Where Hansard's first three solo albums felt suited to seated shows in elegant theaters, This Wild Willing often seems tailored to rawer spaces, from intimate bars to the open air of a packed amphitheater. Freshly inspired, Hansard finds thoughtful ways to fuse multiple sides of his artistic personality in a single song. "Fool's Game" opens on an elegant note, submerging his ever-approachable voice in effects before blooming into a lavishly appointed arrangement, only to burst — roughly halfway through its six minutes — into a full roar of Sigur Rós-ian orchestral overdrive, a squall of feedback, a moment of respite and a sweet vocal coda courtesy of Aida Shahghasemi. It's gorgeous: expansive without sacrificing intimacy. While Hansard hits a few familiar lyrical beats on This Wild Willing — the embrace of hope, the pursuit of connection and celebration, expressions of unwavering support — the album also digs hard into the idea and importance of romantic sacrifice. These are songs of letting go and listening, born of a wild willingness to let others in.